This is a good start to their career and should find them plenty of new fans. The latest offering from Andrew McNiece's MelodicRock stable is another new European band, this time from the Melodic Rock stronghold of Spain. Formed fairly recently by guitarist Jorge and singer Silvia, the band is maybe a little more straight-ahead and organic than you would perhaps expect from the label, with keys at a minimum, guitars well to the fore and a singer with a voice that spans from soaring Pop diva to the raspier style of Chrissie Hynde. Although they're now a full band, their debut album was recorded as a duo with many guest musicians, including members of renowned Spanish acts like Niagara and Airless, but it's Silvia who is the main focus, lending her considerable pipes to a series of mostly Rocky songs that cross many genres. The catchy opener 'Stronger' has a memorable chorus and good musicianship whilst the title track raises the volume with some heavy guitar, rock solid drums and more attitude on show, particularly in Silvia's grittier vocal. She doesn't have much of an accent either, just the chorus to 'Million Miles Away' gives away her origins, but mostly she handles the different styles of Pop Rocker 'All For One', the Pop crossover ballad 'It Is You' and the dynamic 'Rocking The World' in a way that would give no clue about where the band were from if I hadn't already told you. 'Many Years' and 'Rebel Rider' are other big Rockers with the powerful 'Scream' and the classy commercial tune 'How Much Love?' as the pick of the bunch. With good production values (by none other than Eclipse/W.E.T. 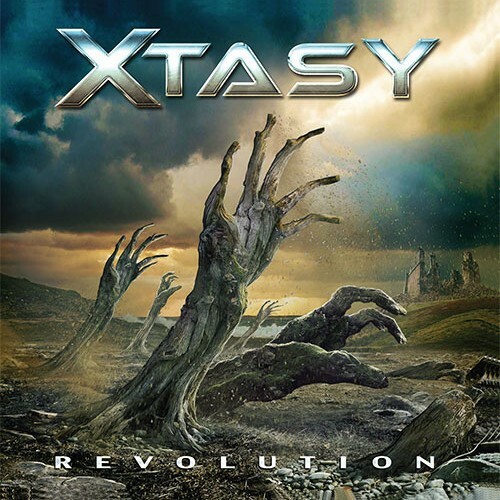 mastermind Erik Martensson) and some simple but effective song-writing, not to mention some stellar guitar playing, Xtasy is an interesting release and a slight departure from what McNiece has put out so far. With so many good releases out there at the moment it's a hard sell for a band like Xtasy, but this is a good start to their career and should find them plenty of new fans.